Hello perhaps someone can help me. 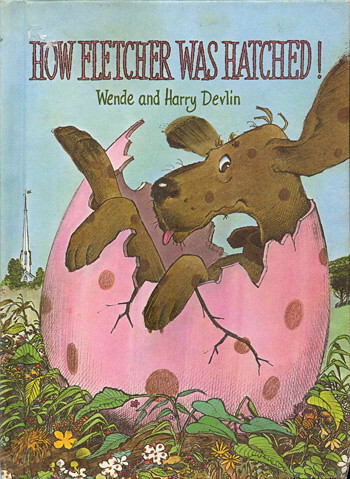 I have been searching for a book for many years.I cannot remember the name or the too much about it.I just remember I loved it about 30 or so years ago.What flashes thru my memory is a Giant pink and brown speckeled egg.I thought it was a dino egg. I think there may be a boy involved and something about being rejected for being differant.But I cannot remember. This Fletcher book was the closest I could come to,but I do not believe this is it.I think the theme was mostly brown and pink thru out.Please can anybody help me? Hey muze...could it have been the Enormous Egg by Butterworth? It came out in the fifties originally and is about a boy who hatches a dinosaur.